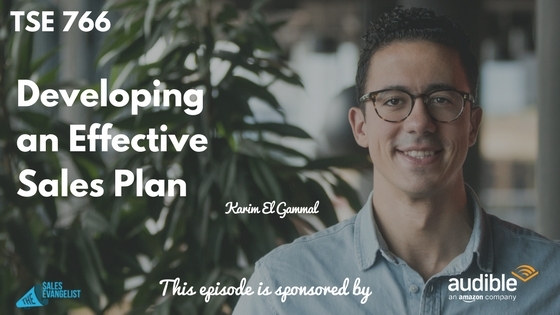 Karim El Gammal is a sales leader who knows how to develop an effective sales plan. He likes to help software companies develop innovative sales strategies and maximize channel-profitability. He managed to achieve $3M in recurring revenue at Vodafone, in 18 months. Karim also grew the Cambridge Education Group sales team from 1 to 10 people, remotely from Boston, and was one of the key players in creating the Stafford House digital brand. Currently, Karim is building a sales team in NY, at STRV – software development company. 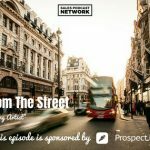 As an entrepreneur, Karim was featured on Gimlet Media Startup-Podcast after being on the winning NY StartupBus in 2017. He is currently building Phishly to help large companies detect social engineering attacks and avoid getting phished in the future. A team should follow a clear path. There should be clear direction and strategic planning. Otherwise, an organization can’t function properly. This should be team collaboration mindset. Give your sales reps full ownership so they can have a clear picture of the bigger plans. When data is transferred from one department to another, it could burn thousands of dollars on running the wrong campaigns or wrong target audience. The company has to have a mindset as a company of having the right data and apply best practices across different departments. Generate better inbound leads by talking to your marketing team. Then figure out a plan together. Share feedback, best practices, and align goals together to make it easier for everyone. Take time to step back and analyze the data on a monthly basis. Figure out what you’ve done wrong and what to do better next time. Then track that data to reach the higher level. 1. Pick a niche market and build traction. When you track to create something to everyone, you end up creating something for no one. Think about how big is the market, what products are sold, value proposition, and competitive advantages. Who’s your target customer and why? Consider your geographic information, target channels, budget and measuring the budget. All these info will help you create your customer profile that will qualify your leads and manage your funnel more effectively. 3. Conversion versus customer fallout. Think about your competitive advantages or are you missing on important features? Sales reps must report every single feedback in the CRM. The seniors should verify questions and analyze data before sharing the feedback with the product and marketing teams. Transferring the right data at the right time is also crucial. Understand your value within the organization or wherever you go. It’s essential to grow your career. Connect with Karim on LinkedIn and Instagram or reach out to him thru karim@strv.com.